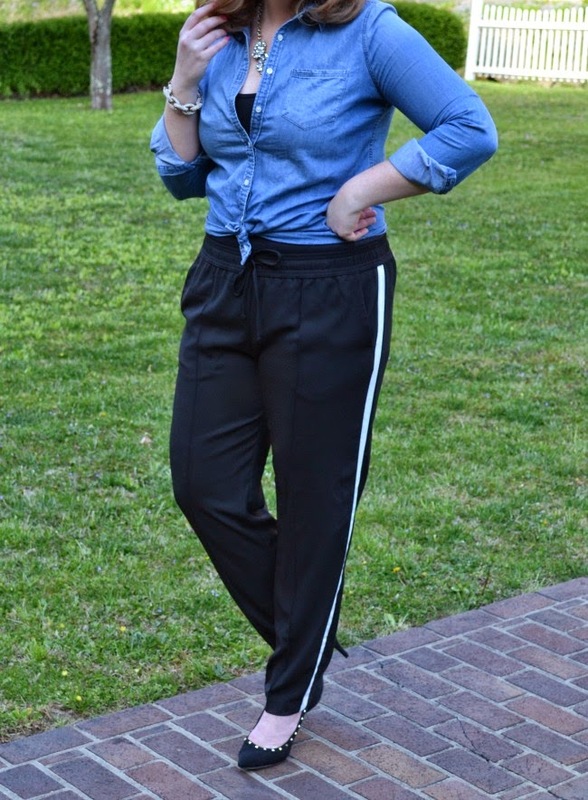 Today is part two in my Chambray 3 Ways series - see the first look here. I've never made it a secret that I'm a bargain shopper - there's nothing I love more than a good sale. I'll definitely splurge every now and then on certain items (usually bags), but for everyday wear I'm all about more for less. This outfit is the perfect example of serious deal-hunting. 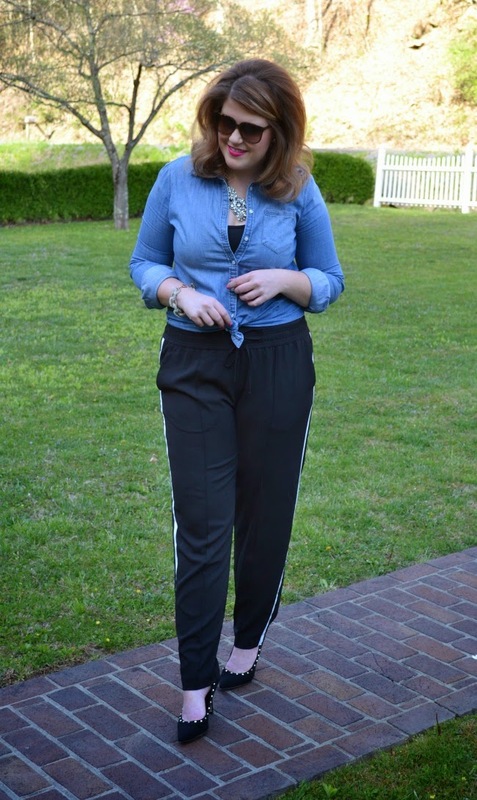 I've had this chambray blouse for a few years and the pants were a recent find from JC Penney - still available online! 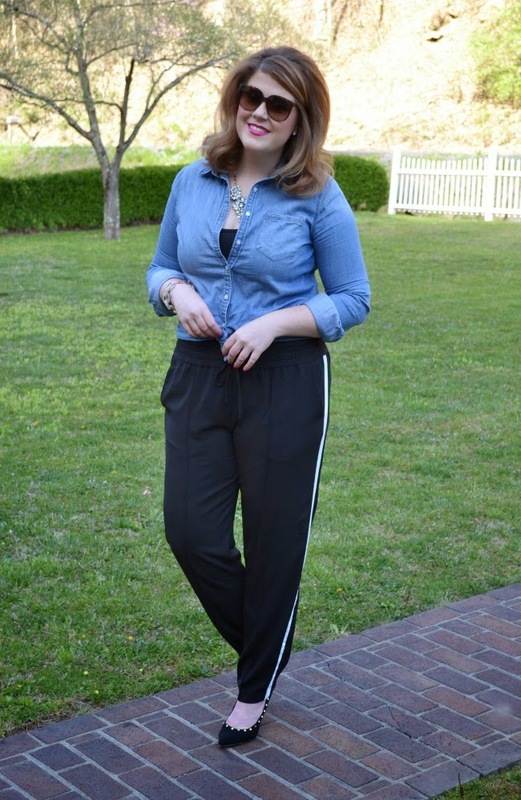 The "real pants that feel like pajama pants" is getting all my love right now!